In the previous post of this series, I introduced the concept of Stewardship. 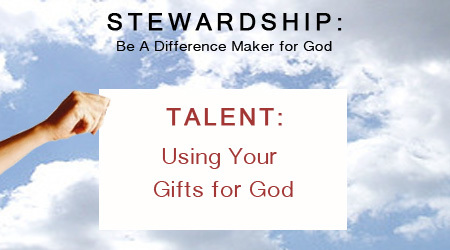 Stewardship takes on many forms; Time, Faith, Talent, Family, Prayer, and Treasure. Today, I would like to shed some light on Time. We all lead busy lives, whether we are driving our children to events, helping our family members with chores and child rearing, or just managing our daily commitments. We never seem to have enough Time. Many of us fall victim to not having Time to help others. A perfect example of this was when, a few years ago, a colleague of mine at a company where I was leading HR, told me of a similar dilemma she had faced. She was an administrative employee who worked in a very rural area of our country. She shared with me some of her volunteering experiences. A little over ten years ago, she began volunteering her Time at a local Muscular Dystrophy (MD) Foundation fundraiser. Not long after, her friend’s child was diagnosed with an MD-related disease. This was a turning point for her. She had to decide whether to go about her life every day without doing something to help others, or she could choose to make an impact on our world by helping others, by giving something back to the community. That day, she made the decision to donate her Time in a big way to the MD Foundation and has spent countless hours doing so since then. This young lady did not stop with the giving of her Time. When she saw that men and women of the armed services stationed overseas needed help from people back at home, she helped spearhead a grass roots program called, “Thanks to our Yanks.” She drove the effort to ensure that all money collected for this program through fundraising events went directly to providing personalized care packages for the troops, versus administrative fees from other organizations. Today, this program has provided over four hundred care packages to about fifty service men and woman in Mercer County, Ohio. Wow, one young lady in the middle of a cornfield making a very real difference! My question to you, dear Christian business leader, is: Do you initiate and encourage this type of behavior? Do you foster a workplace that builds up your community? If you do, you are helping to build a “Kingdom Minded” organization. I am going to challenge you further today to think deeply about what you have chosen to do with your Time in the community in which you live. What type of volunteering do you do? What organizations receive your time? I can tell you that, before I was saved, I did nothing. Then I grew in my faith and started to do more for others. Now, as I write this, I know I am taking myself even further to get other Christians motivated to ratchet it up, not only in themselves but in their companies! 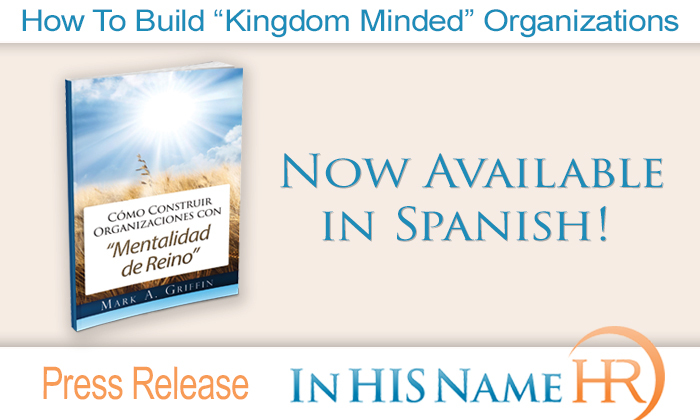 We would love to hear from you on what it is you are doing to build a “Kingdom Minded” organization. This is a great time for you to tell us about what you do, or a time to reflect about what you could do in the future. Please feel free to comment on this topic. Having been exposed to the concept of Stewardship several years ago, I have set out to define the concept from my unique experiences and perspective. 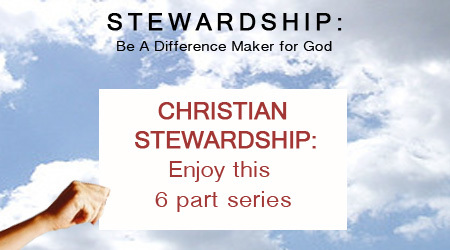 I cannot take credit for the concept of Stewardship as it relates to Christianity. Although I have never been able to confirm with certainty, I believe this concept of Stewardship actually originated in the Catholic Church. 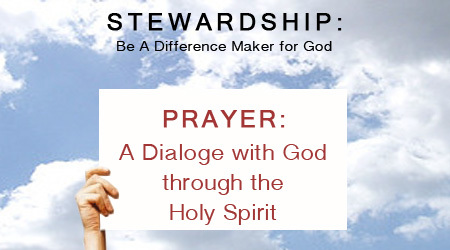 However, many other denominations, including Evangelicals, have begun embracing the multifaceted concept of Stewardship. I personally like it. Not from an “easy rules to follow” standpoint, but as a nice neat package of a variety of ways we can give back to others. When I say “give back to others,” I say it because, when you think about it, it all really should be about others: our neighbors, our coworkers, the people we lead, and our families. But also let’s remember Matthew 25:40. 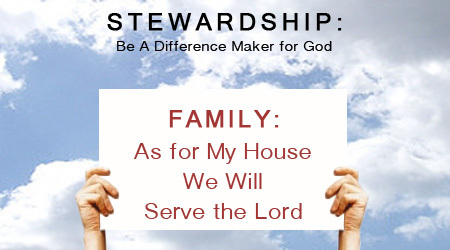 In this series, I would like to shed some light on the area of Stewardship. 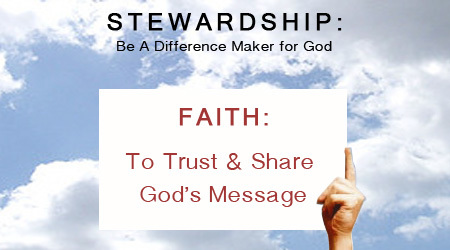 Oftentimes when people think of Stewardship, they think of finances and the giving of their finances. This is a common misconception. Stewardship takes on many forms. The following are other examples: Time, Faith, Talent, Family, Prayer, and, finally, Treasure, which many people also interpret as finances. As Christians, we often forget how we might impact not only our coworkers, but also the communities in which we live, work and do business. 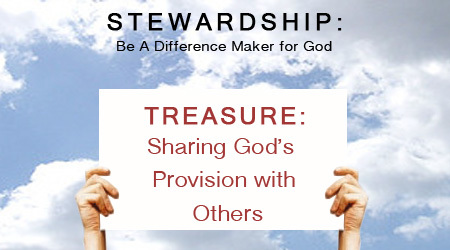 In this blog series, I will be exploring the concept of Stewardship and what and how it may apply to Christ followers. I hope you will follow along on this journey with me. You may learn a lot about yourself. I know I have.